Joas is an architectural and interior photographer who recently completed a photo tour of Vietnam. All images © Joas Souza. I first become interested in photography when I was a child. I got my first camera when I was 4 years old, a lovely Kodak Tele-Ektra 1. When I was 7 years old I still had my Kodak but was already learning how to use my Dad’s Nikon F2. On my 13th birthday I won my first SLR camera, the great Pentax K1000 with a 50mm lens. Years later I started to shoot using a Nikon F3 and F100 for 35mm shots and Contax 645 and Hasselblad SWC, 203, EL/M and Arqbody for medium format shots. Is photography your job or just a passionate hobby? I would say a passionate full time job for the past 16 years of my life! 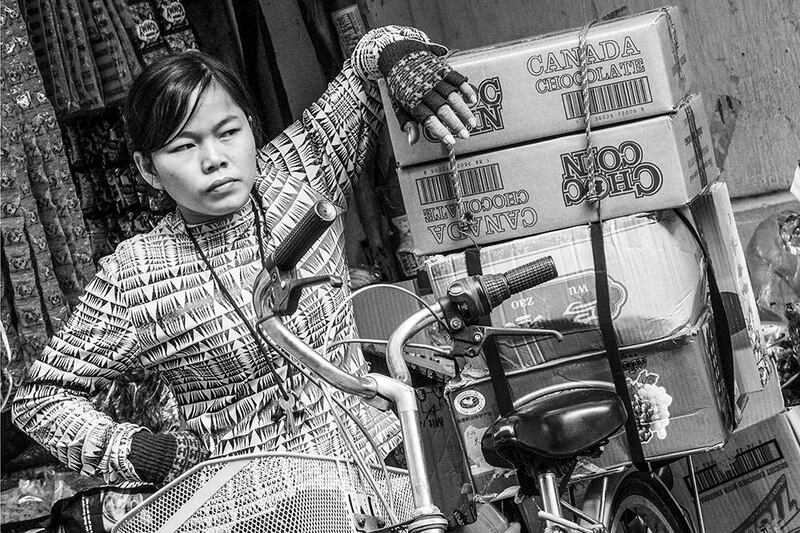 Your latest photo series, soon to be showcased in Vietcafe, London, is a photographic tour of Vietnam. What inspired you to take on this project? What inspired me was actually the Vietnamese people, the way they live and survive each day of their lives. I went to South East Asia two years ago on holidays, leaving my Pro DSLR at home and carrying with me only my travel camera, the Canon G11. I wanted to have a relaxing break from my western life style, but when I saw the diversity of activities on the streets of Hanoi and Ho Chi Minh City, I couldn't just watch, I had to photograph that! The result was 112 great images in black and white, and I then selected 10 favourites to show the public in this exhibition. What did you intend to get out of it? I actually made a book of it, available by Blurb, One of my intentions with this exhibition is to open the eyes of few editors and try to make this book available for everyone at any book shop for a more affordable price. Why did you choose black and white as a medium for the project? I love colourful images but this time I choose to take them in black and white because the streets of Hanoi and Ho Chi Minh are not exotic and full of colours like places in India or Brazil for example, it is very dusty, polluted and overcrowded, but there is so much going on that colours are not a key element. The main factor is the people and their activities, so by removing the colours I could transmit better the raw spirit of what I saw. Vietnam looks like a very interesting and vibrant place. Tell us a bit about what you experienced on your travels. 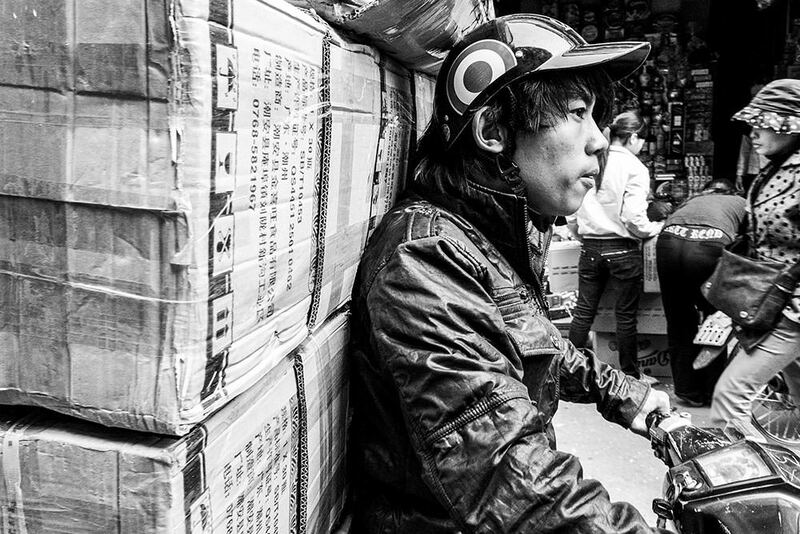 I've been travelling a lot, last year I rode by motorbike from London to New Delhi. That was an incredible experience, thousands of images produced which will be released in the future! There are a lot of things going on now for me and I need some time to go through the images and post process them properly. What are your main areas of photography? I've been an architectural/interior and aerial photographer for the past 16 years, 9 of which in the UK. I could describe my “look” - or my work - as bright, sharp, balanced and unusual. The way I sharpened my sight to photograph architecture allowed me the chance to create my own signature, my own style. If you take a look at the on-line portfolios of other true architectural photographers to draw a comparison, you will likely notice that my photos have a distinct style, especially when it comes to showing architectural details. Tell us a bit about the kit you took with you. Why did you choose it? I was carrying that time, a Canon G11, an amazing little camera, capable of producing really good images, all you need is to explore it to the bone. I always carry one Canon G-series on my holidays. For street shots, they are perfect. Compact, solid, discrete, easy to use and they deliver a great image quality. 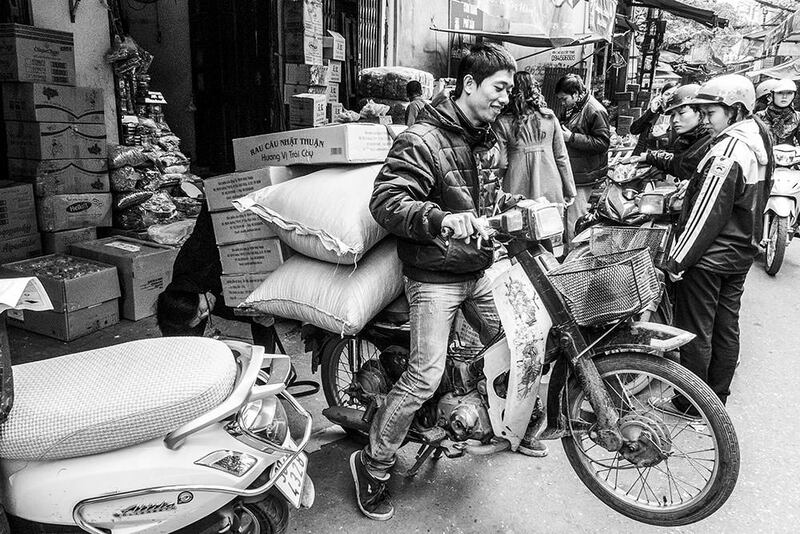 Do you have some top tips for travel and candid street photography? Yes, get the vibe of the place. Open your mind and your eyes, tune your internal radio into the same frequency of the place and things will happen in front of you like magic. Mind-blowing facts and amazing moments will be part of your everyday experiences, you just need to be ready to photograph them. Make sure you know how to use all the capabilities of your camera, to guarantee the results that you want. Be quick, as street life is always in a hurry, it doesn't matter where. What do you have planned for the future photography wise? I'm planning a photo book about London, a beautiful one, exploring London's incredible architecture and cinema scene landscapes. Mother Nature and all the mind-blowing things resulting from man's best efforts, in all their beauty, harmony, perfection and dedication altogether feed my inspiration. In regards to architectural photographers (of course), I admire the work of only a few. Some not so famous (yet), thought others are already quite famous! One of them is the Polish (or German, I'm not sure) photographer Marzena Wieczorek, who does some incredible work. Also the German photographer Johannes Heuckeroth, who produces surreal cityscapes; the South African Adam Letch, who is extremely talented and perfectionist and the Dutch photographer Joel Tjintjelaar, for his outstanding way of capturing architectural structures in black in white. Those guys know what they are doing and do it really well. I’m often checking their latest works. Find out more about Joas and his work on his website.